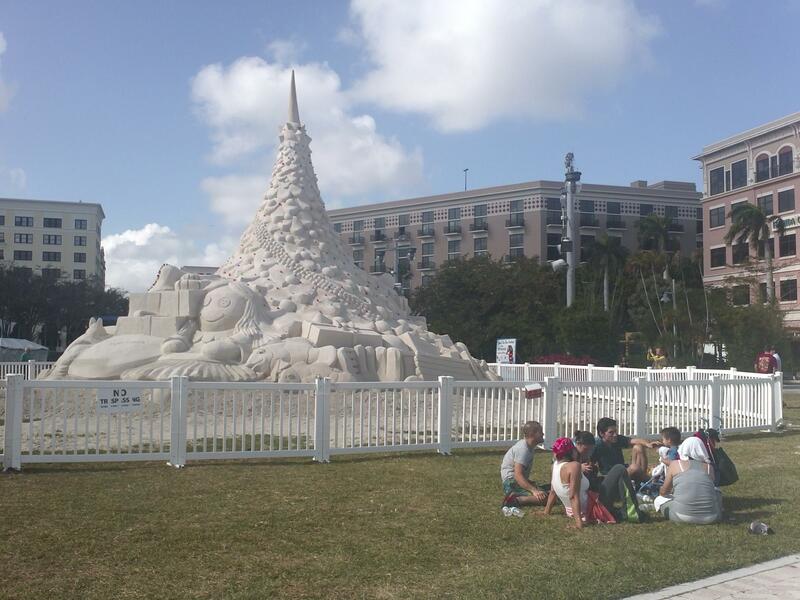 The company Team Sandtastic created 7 different holiday themed sand sculptures for the City of West Palm Beach. This sculptures is at City Center, 401 Clematis Street. City officials say the 35-foot-tall sand tree is a record breaker. "It's basically the largest sand castle tree that you're ever going to see," said Cohen. "It's been featured on NBC news, it's been featured on a lot of national publications. Because it's so unique and kind of cool, a lot of people are noticing." The entire display is called Sand and Sea-Suns Greetings. All told, 600 tons of sand were used to construct a total of 7 sculptures. The other smaller sculptures required a mere 15 to 25 tons of sand to build. All 7 sculptures were created by Team Sandtastic, a company based out of Sarasota, FL. One in five Floridians - about 3.6 million - is receiving food stamp benefits and the number is rising in South Florida, according to new data released by the state..
Miami-Dade, Broward and Palm Beach Counties all saw increased enrollment in the Supplemental Nutrition Assistance Program (SNAP) in October. One of Palm Beach County's oldest public schools is hoping to become one of Florida's greenest.